Gorgeous Gulf Views Await In This 2BR/2BA + Bunk Room Meticulously Maintained Condo Located On The 5th Floor In The Highly Sought After Waters Edge Condo! 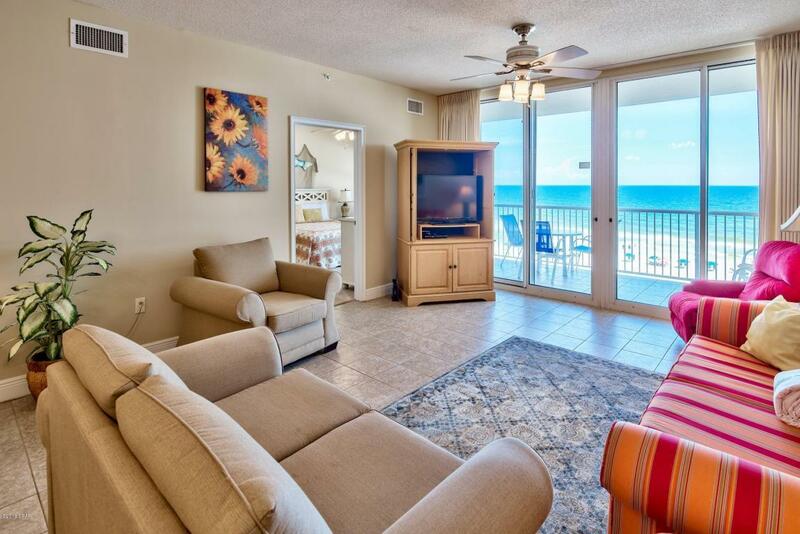 You'll Love Waking Up In Your Gulf Front Master Bedroom With Access Directly To The Balcony. This Incredibly Spacious Floor Plan Offers 1433 Sqft & Perfect For Entertaining With Open Living-Kitchen Concept. Kitchen Boasts Granite Countertops & New Appliances (2014). Living Areas Are Tiled Throughout With Carpeting (2016) In The Bedrooms. Other Updates Include: New AC 2011, New Washer & Dryer 2014 & New Hot Water Heater. Entire Building Was Recently Painted 2018. Call Today To Arrange Your Private Viewing & See For Yourself All That This Amazing Condo Has To Offer!